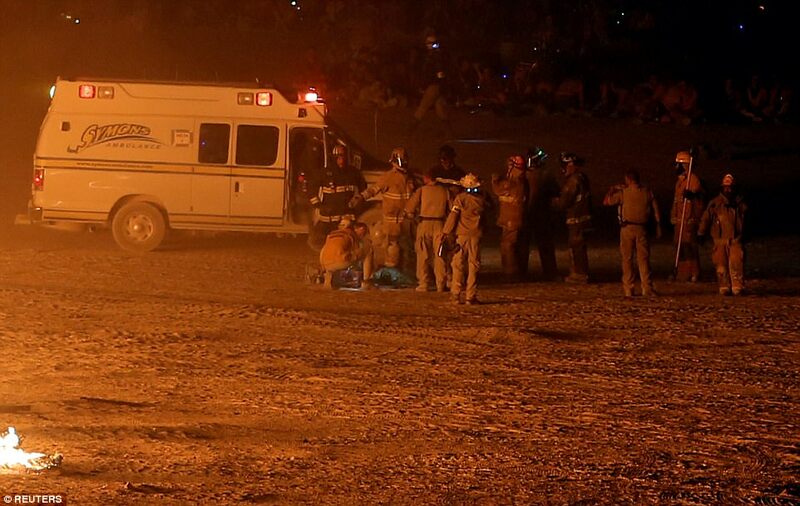 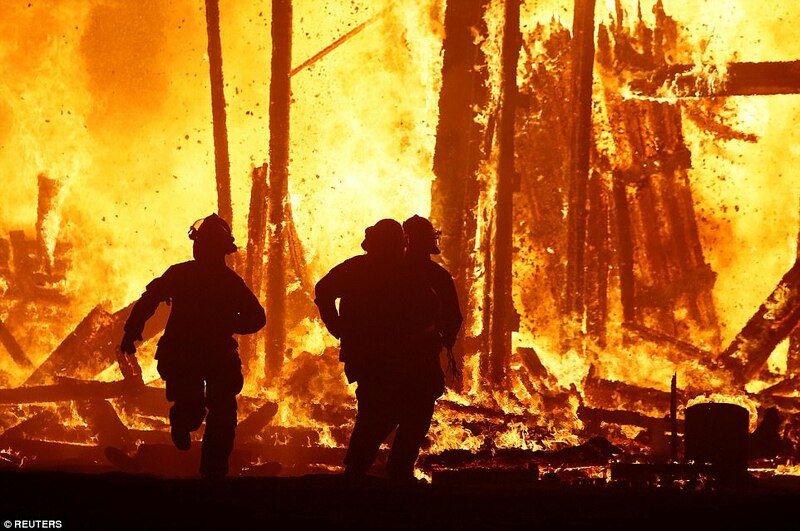 Emergency services bravely tried to rescue a festival-goer who ran straight into the Burning Man during Nevada’s famous arts and music festival. 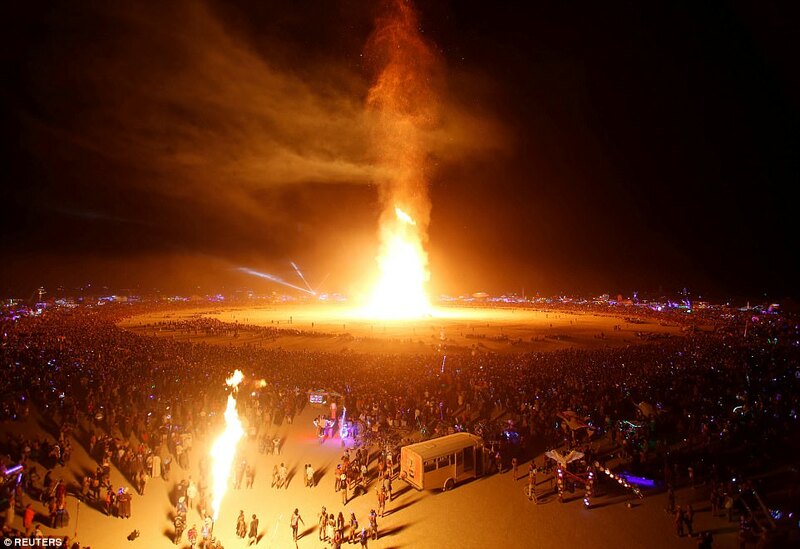 Approximately 70,000 people from all over the world have gathered for the annual Burning Man festival, which is taking place in the Black Rock Desert. 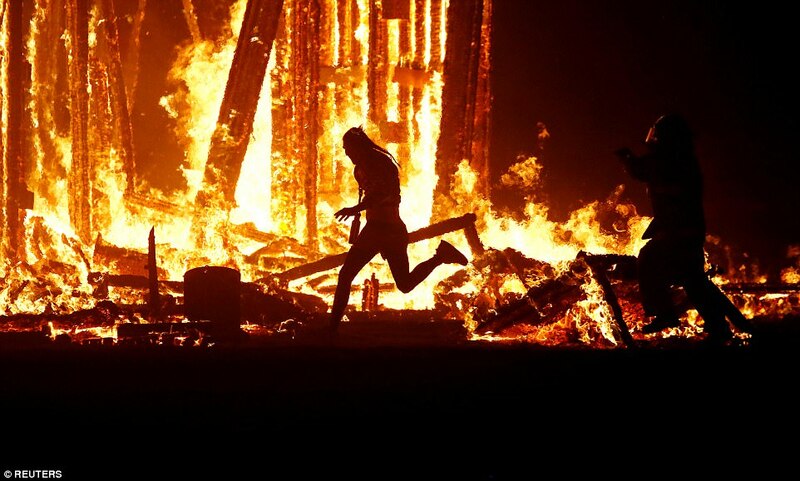 But crowds were horrified when one reveller made a beeline for the giant wooden effigy and was engulfed by the flames. 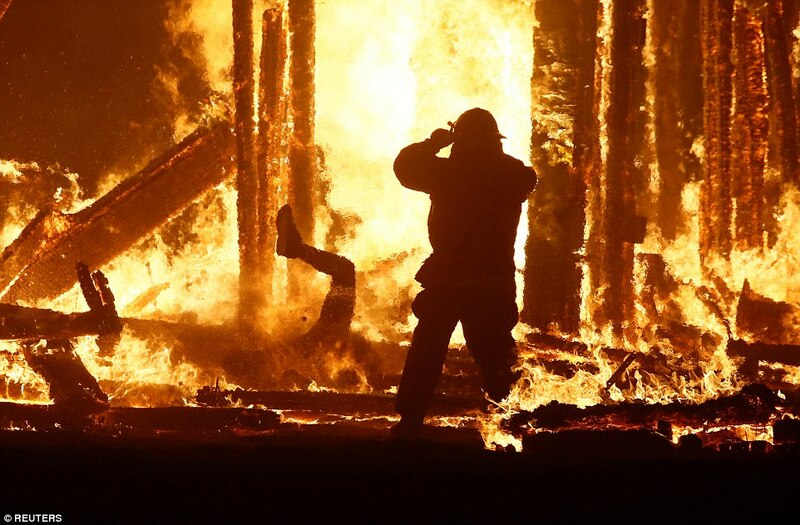 He had to dodge a number of rangers and law enforcement personnel in order to reach the fire, which stretches approximately 50 feet into the air. 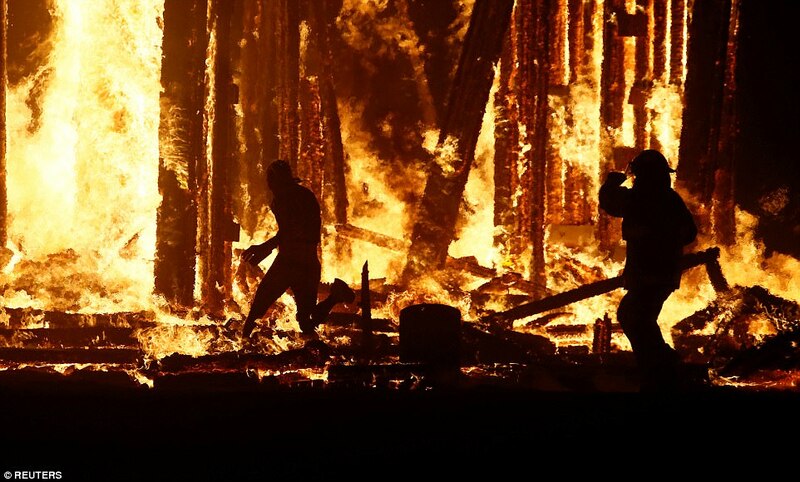 It is not yet known if the man died as a result of the shocking incident. 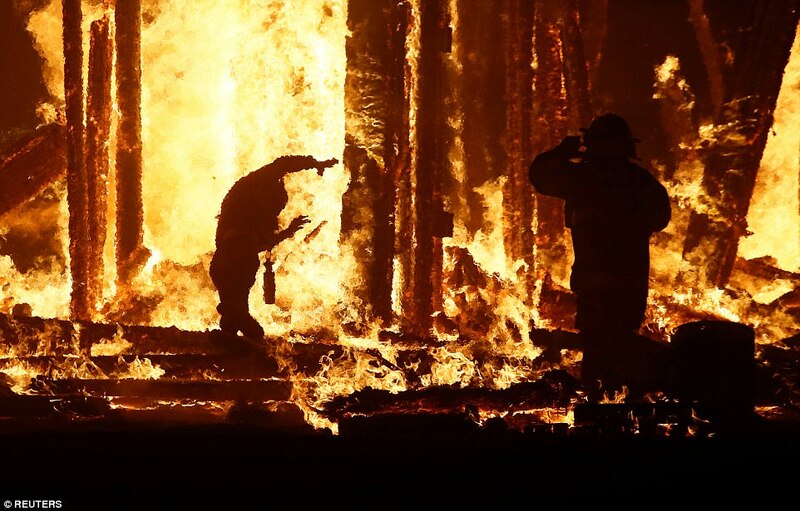 ‘The individual was treated on scene, transported to the on-site medical facility and airlifted to a burn center’.